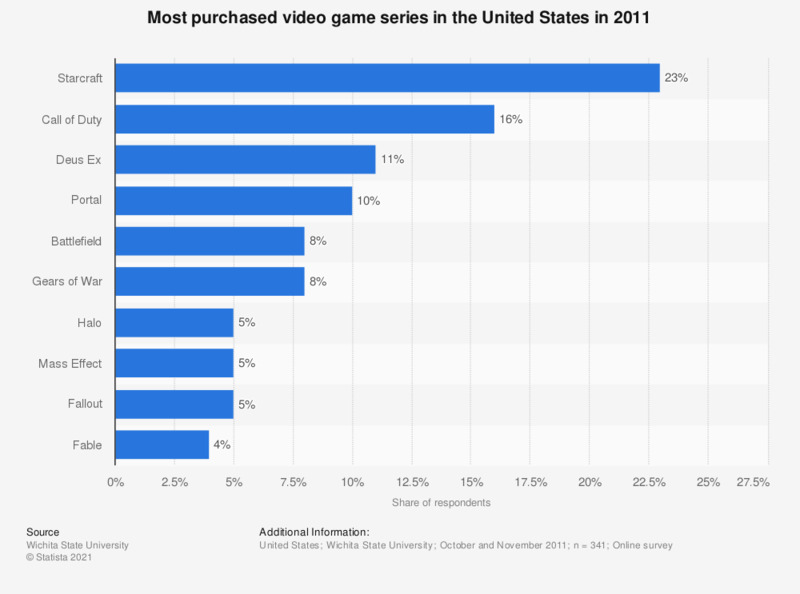 The statistic presents most purchased video games series in the United States in 2011. During the survey, 23 percent of respondents stated they had purchased a game from the Starcraft series in 2011. Here you can see which video game genres sold best in 2011. Compared to the original source, the data have been converted to percentages to provide better understanding of the statistics. The respondents were 18 to 51 years of age. Which of the upcoming video games of November intreste you the most?